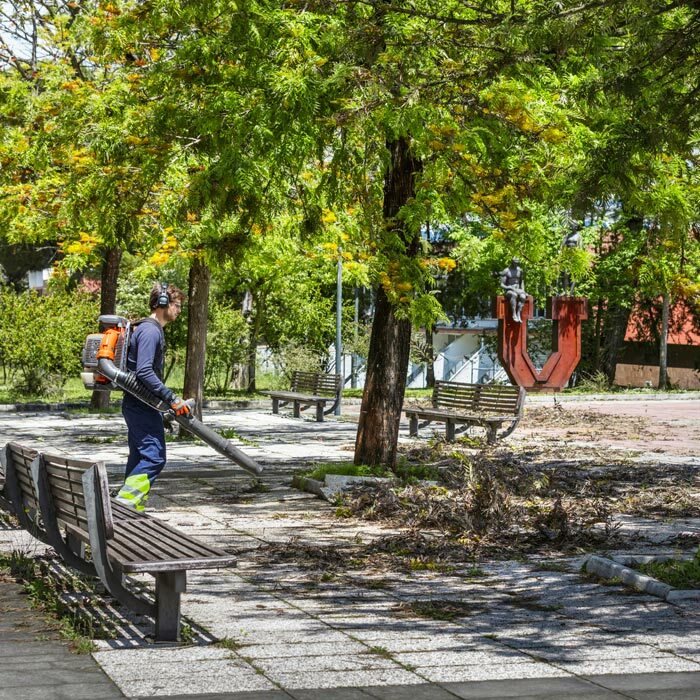 The Husqvarna 570BTS backpack blower is ideal for the most challenging tasks, it is a powerful and reliable machine capable of moving large volumes of debris, quickly and efficiently. Husqvarna's 570BTS uses a 65.6cc X-Torq 2-stroke engine that provides fantastic power when it counts, combined with brilliant fuel efficiency and reduced emissions. This model also benefits from a large air flow of 28m3/min in the housing and high air speed of 105.6 m/s, all because of its efficient fan design. 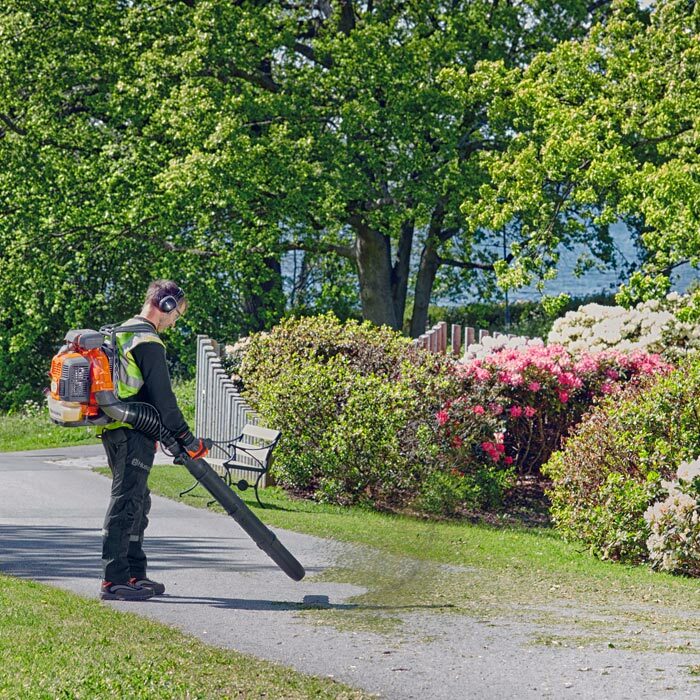 Husqvarna's LowVib anti-vibration technology uses dampers between the engine and chassis to reduce vibrations, sparing your arms and hands from any negative effects. Also provided with the 570BTS is an Ergo harness, allowing you to work in comfort thanks to wide shoulder straps. The commercial grade air filter, allows for a long operating time and trouble-free use. X-Torq® engine - The X-Torq® engine design increases torque over a wider rpm range providing maximum cutting power. Comfort handle - Soft-grip handles for optimum comfort. Commercial grade air filter - The 2-stage intake air filtration ensures long operation periods in dusty conditions. Fuel pump - Fuel pump designed for easy starting. Ergonomic harness - Comfortable, ventilated and load-reducing harness with hip belt and wide shoulder straps. Adjustable handles - Adjustable handles for superior comfort. 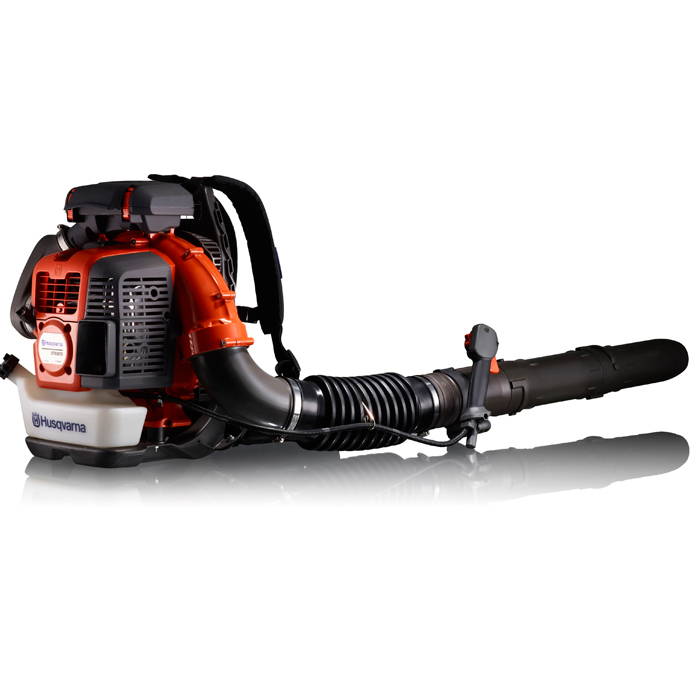 High blowing capacity - The powerful and easy to start X-Torq® engine in combination with effective fan design delivers high air speed and high air flow. Ergonomic handle - The handle can be angled and has rubber inserts for a stable, comfortable grip. LowVib® - Dampeners between the engine and chassis effectively reduce vibrations. * Free delivery is not applicable on smaller items, larger ride-on machines outside of our local area and deliveries to the highlands and Islands.